Caribbean aircrew in the RAF during WW2 » Blog Archive » GOBIN – Hugh A.A.
Sgt Hugh A A Gobin, Navigator, RAFVR. From Trinidad. Enlisted 1942, qualified/promoted to Sgt in April 1944. 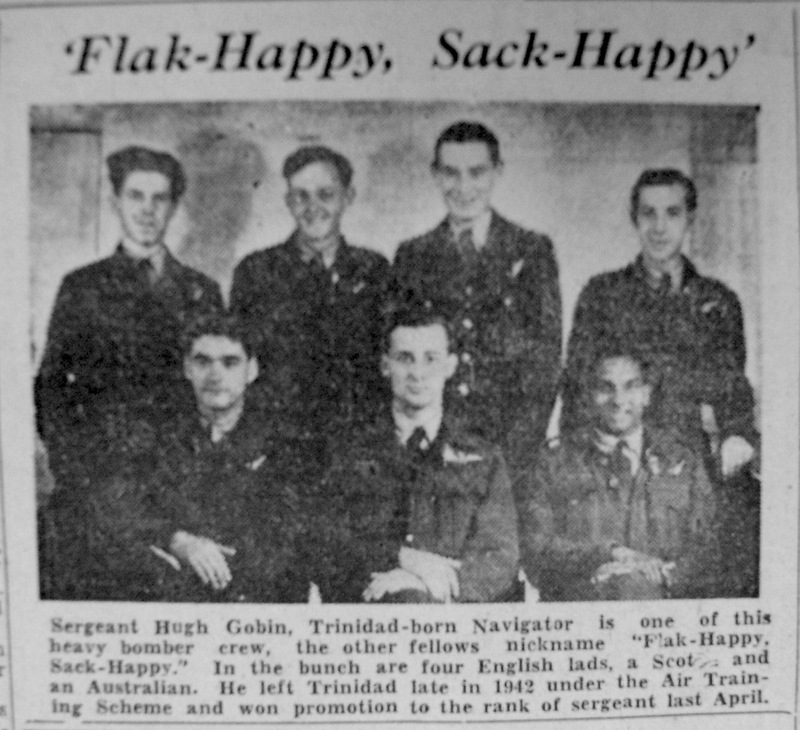 Trinidad Guardian, circa 5 October 1944.